Children are drawn to the iPad like flies to honey, but children are also notoriously bad at taking care of their toys. And if the thought of a young'n bashing away at your tablet's display with a pen leaves you anxious, Griffin's got you covered with a glowing stylus that lets them draw in mid-air. You'd assume that such a feat involves magic, sorcery, or witchcraft, but the iPad Crayola light marker works a lot like the PlayStation Move controller. 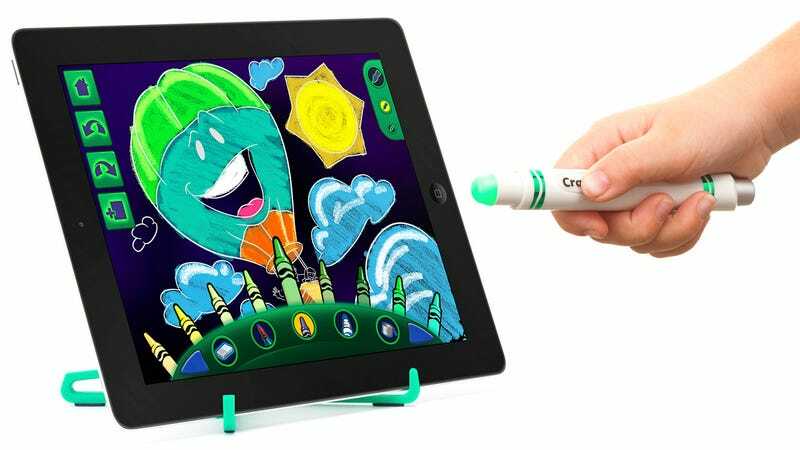 Its glowing tip is detected and tracked by the iPad's front-facing camera, letting it work with various artistic activities in an included Crayola app. That of course means it's only compatible with iPad models featuring a camera up front, but for $30 it also sounds like a cheap insurance policy for your tablet's display.